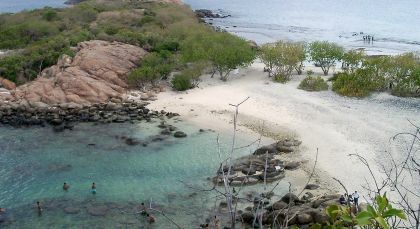 This luxurious tour takes you on a journey of discovery through the best known destinations of the island nation. 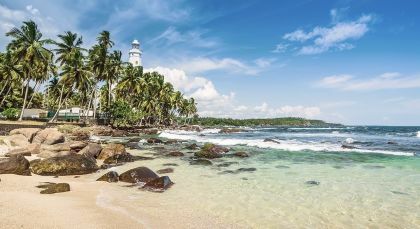 Discover ancient history, verdant landscapes, picturesque beaches and a vibrant culture on this private Sri Lanka tour. 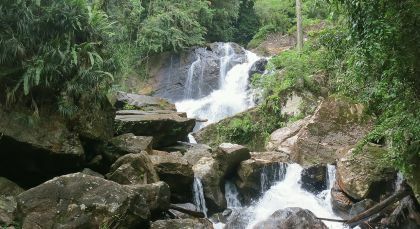 The Sinharaja (Lion King) Rain Forest is a world heritage site and is arguably the most important site in Sri-Lanka and is internationally important for its biodiversity. Enjoy trekking into the UNESCO World Heritage Sinharaja Rain Forest Reserve in Sri Lanka. 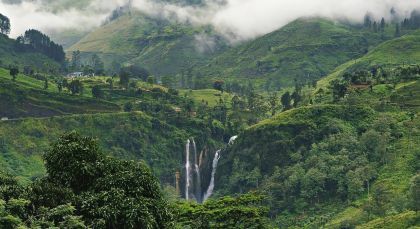 Sri Lanka’s very own “Little England”, this is decidedly a trip to a surrealistic hill station with swirling mists and tumbling waterfalls! Tickle your tastebuds with a cup of world-renowned brew! A cup of delicious Ceylon tea is so much more when you discover the history and process of making the blend. Embark on an hour-long tour of learning at one of Nuwara Eliya’s famous tea factories, accompanied by an expert. Observe the process of harvesting, manufacturing and quality control – including an insightful look into the tea leaf grading techniques. End your visit with your own well-deserved fresh brew – right at the source! Heritance Tea Factory follows a strict green philosophy and does much to conserve nature. The lovely tea gardens are home to several rare species of birds and flora. Feast your eyes on the myriad colors of this avian paradise and marvel at the 50 varieties of migratory birds that come from as far away as Europe and Siberia. You can also observe the yellow-eared bulbul and the Sri Lanka white eye that are endemic to this region. 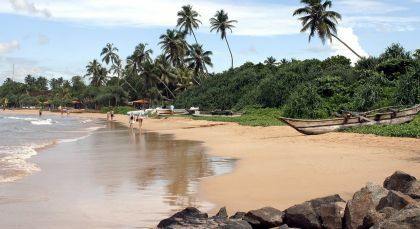 Explore a Sri Lankan jewel! Located at an altitude of almost 500 m above sea level, the ancient capital city of Kandy offers a rich amalgam of ancient wonders. 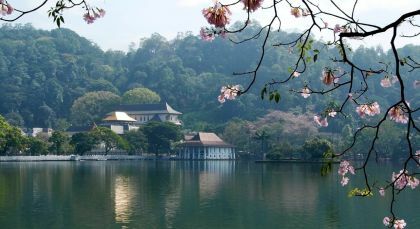 Visit centuries-old famous temples and architectural marvels on a pleasant Kandy loop, past three 14th century Hindu-Buddhist temples and back through Peradeniya Botanical Gardens. Embekka Devalaya, Lankatilaka Vihara and Gadaladeniya Temples are among the other famous sites in the city. Discover fascinating traditional and contemporary motifs and colors during your visit to a local batik printing factory, before you return to your hotel. 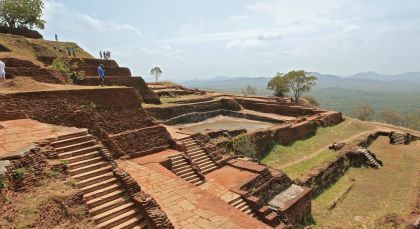 Sigiriya is the ideal location if you wish to venture back in time! Unearth this UNESCO World Heritage Site that dates back 5,000 years to the Mesolithic period. Encounter the largest and best preserved cave temple complex in Sri Lanka during this one hour visit! Dating back to the 1st century, the Dambulla rock caves became a Buddhist temples when they were converted into residential quarters for monks. You will be amazed by the five caves that sit under a vast overhanging rock. Each one now acts as a shrine room and contains numerous images of Lord Buddha and bodhisattvas, as well as various gods and goddesses. Mural paintings line the walls, depicting Buddha’s journey to enlightenment and his teachings. Throughout the centuries, this has been a sacred pilgrimage site for Buddhists. Sigiriya, which translates to Lion’s Rock, is aptly named as it juts out of a granite peak, standing tall at 180 meters and dominating the surrounding dense jungle. Witness Sigiriya Rock Fortress, which is uniquely shaped and can be seen from great distances. You can also discover the fascinating rock paintings and frescoes of Sigiri apsaras (mythical dancing damsels), painted inside the cavity of the western rock face. Discover the style of 7th to 10th century graffiti by visiting the Mirror Wall! Kindly note that this activity requires a good level of physical fitness due to the steep steps to reach the fortress. 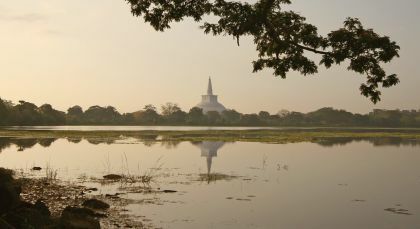 Polonnaruwa..the medieval capital of Sri Lanka, was the second capital city of the country after the destruction of the ancient city of Anuradhapura in 993 (from 10th-12th century AD). Note ancient Sri Lankan architecture from the 12th Century..see Brahmanic monuments built by the Cholas and the monumental ruins of the garden city created by Parakramabahu I in the 12th century. 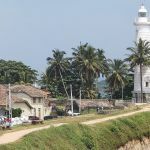 Visit the ruins of the King’s Council Chamber, the Royal Citadel, the Kumara Pokuna, the Royal Pavilion, the Vatadage Relic House, Kiri Vehera and Gal Vihare; see Art, Architecture and Sculpture at Gal Viharaya, Thuparamaya Image House and Lankatilaka Image House. Tricomalee is home to one of the world’s largest natural harbors and great opportunities for snorkeling, windsurfing, surfing and diving. 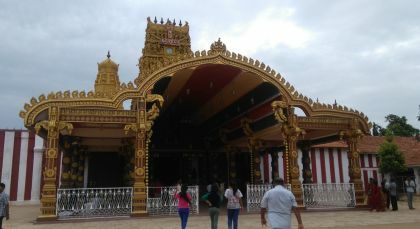 Jaffna is the capital city of Sri Lanka’s Northern Province, and has always been a major hub for its deep, creative culture of Hindu tradition. Train from Jaffna to Anuradhapura. Departure from Jaffna at 0935 hrs. Arrival in Anuradhapura at 1340 hours. Enchanting Travel delivered everything they promised. We did not have a single logistical glitch.